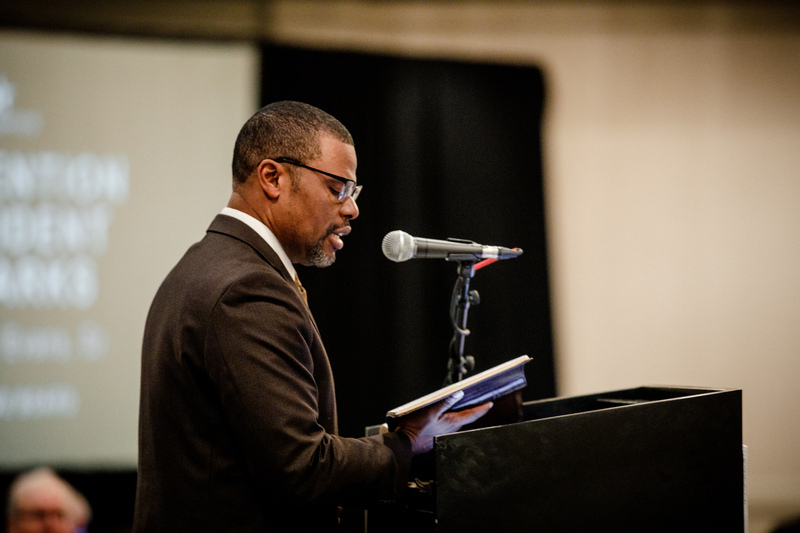 DALLAS–During the September meeting of the Baptist General Convention of Texas Executive Board, the Baptist Health Foundation of San Antonio (BHFSA) presented a $1 million grant to Texas Baptists focused on church and church leaders’ health initiatives in South Texas. BHFSA President and CEO Cody Knowlton presented a check to Executive Director David Hardage for the funds, which will be used over five years. The grant will support three initiatives including a Pastor to Pastors staff position for developing deeper, interpersonal relationships with area pastors; a Financial Relief Fund which will offer financial aid to alleviate stress and anxiety for pastors; and Church Health Conferences and Retreats which will create new learning experiences to strengthen awareness and knowledge around holistic health services and practices. The board approved the proposed 2019 Texas Baptists missions and ministries budget of $35,968,634 with an additional $1 million proposed for 2019 Worldwide Missions and Partnerships. The budget reflected a reduction of $1 million from 2018, based upon anticipated Cooperative Program giving. Gifts to institutional ministries of the convention were reduced by 6% to reflect the decrease in Cooperative Program gifts. The budget also allowed for a 1% raise for convention staff, made possible through reduced health coverage costs for 2019. Executive Director David Hardage addressed the board during a report on Monday evening and discussed the church-starting methods of the convention, including 364 new churches involved in the five-year church-starting program and 682 new churches started through the house church movement. In other business, the board approved a recommendation from the Institutional Relations Committee to allow the University of Mary Hardin-Baylor to reduce the number of trustees from 37 to 30. Chairperson Donna Burney noted the reduction would not impact the relationship between UMHB and Texas Baptists. Appointments to fill vacancies on several boards and councils were also approved. Click here to view a full list.